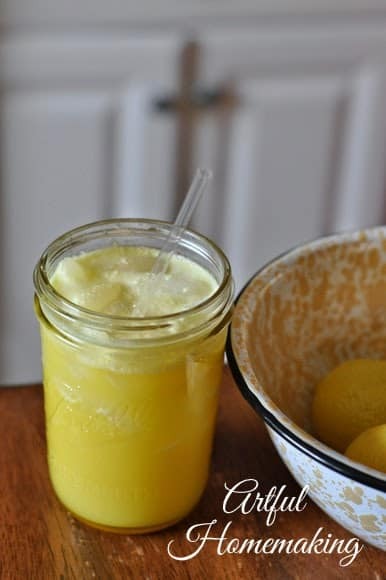 The Singing Canary Drink is a delicious aid to healing adrenal fatigue. And it also has many other health benefits! Last year I began noticing that I had symptoms of adrenal fatigue. I was constantly tired, and it was such a struggle to think clearly. I felt rundown and overwhelmed. When I saw The Singing Canary drink on the Trim Healthy Mama Facebook page I noticed that it was supposed to be good for adrenal fatigue. I figured it couldn’t hurt to try it. And after trying it, I found that I loved it, and I do feel more energetic on the days when I drink it. 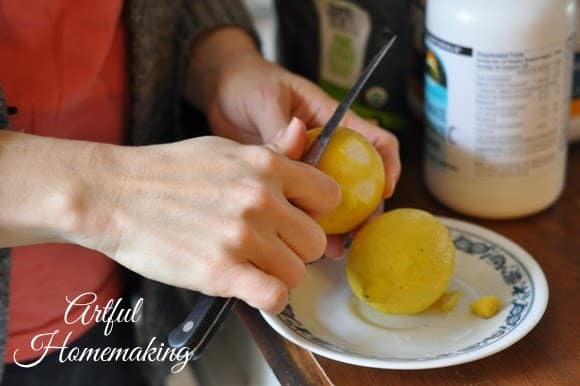 Peel the yellow skin off of the lemons, but leave as much of the white part as possible. 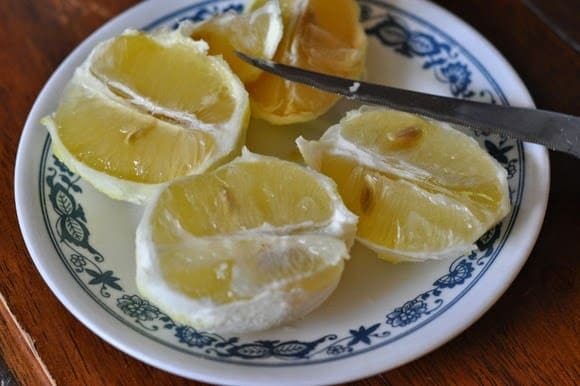 Slice the lemons and remove the seeds. 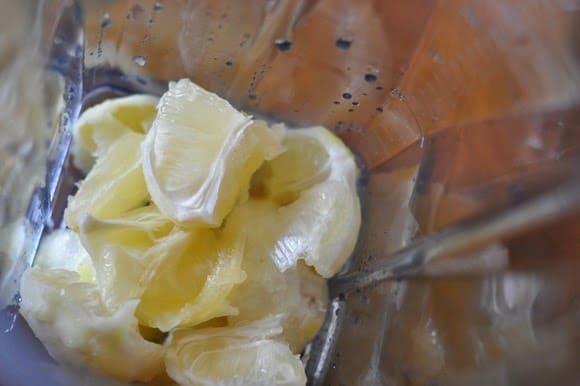 Put the lemons into your blender with 3 cups of water and blend well. 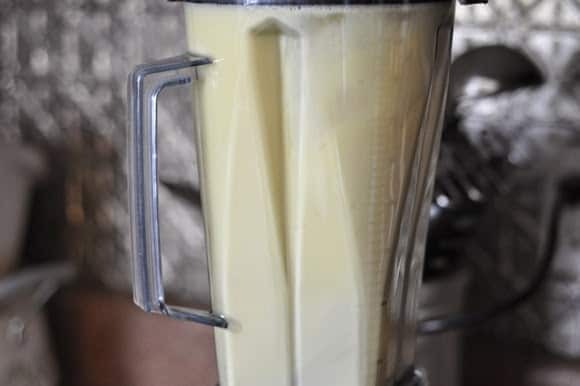 Pour the strained juice back into the blender and add the Vitamin C powder, whey powder, salt, turmeric, coconut oil, vanilla, stevia, and the lemon essential oil, if you’re using (I use about 4 drops). 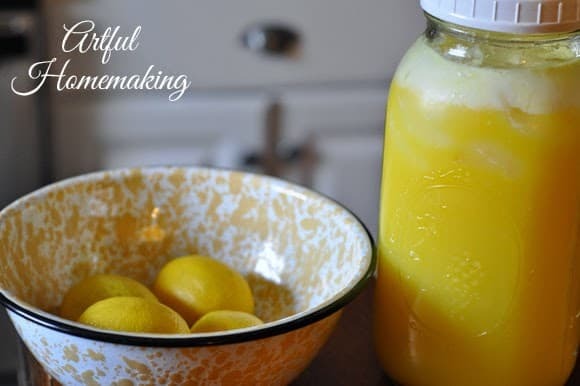 Pour Singing Canary juice into a 2 quart glass mason jar. 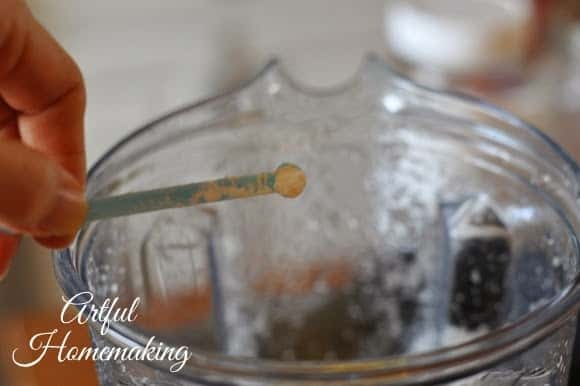 Top with ice or filtered water until the liquid reaches the top of the jar (ice is great in the summer, but I use a bit of water when it’s cold out). Put a lid on the jar and shake well. 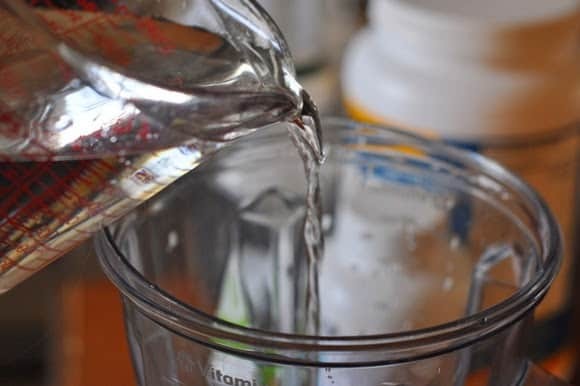 I pour mine into a smaller glass or jar and drink it with a straw, to keep the acidic liquid from getting too much on my teeth. 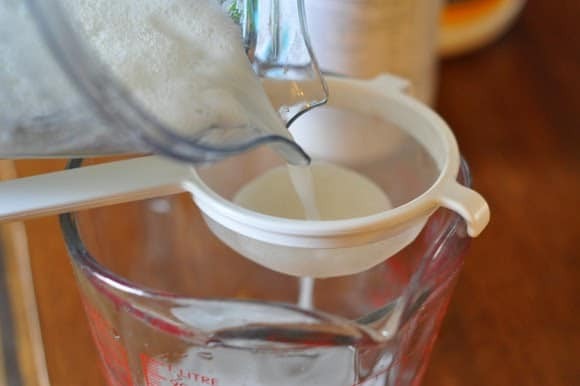 You can add more stevia if you think it needs it. This drink is designed to be sipped throughout the day. 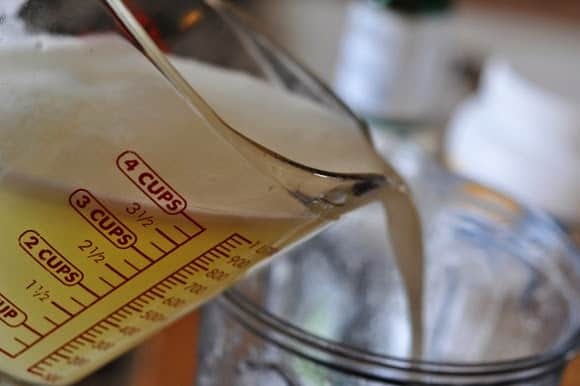 I keep the larger jar in the refrigerator and just pour the amount I need into a smaller glass. If you’re suffering from adrenal fatigue or just need to be recharged, I highly recommend that you give this drink a try! Adapted from this recipe. Read about how I overcame adrenal fatigue here. Disclosure: This post contains affiliate links. Read my full disclosure policy. Sharing here. Hi! Thanks foe this, im going to try it! Are you supposed to drink the whole thing in one day? You can, or you can save some for the next day. I usually sip on it throughout the day. So the stuff left in the sieve, you just throw out, correct? Directions are hard to follow with adrenal fatigue brain! LOL Thanks! I’m also interested in the recipe. 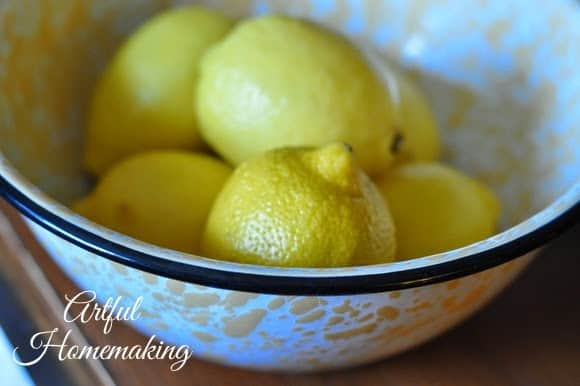 I would love to try your lemon recipe, please send it. 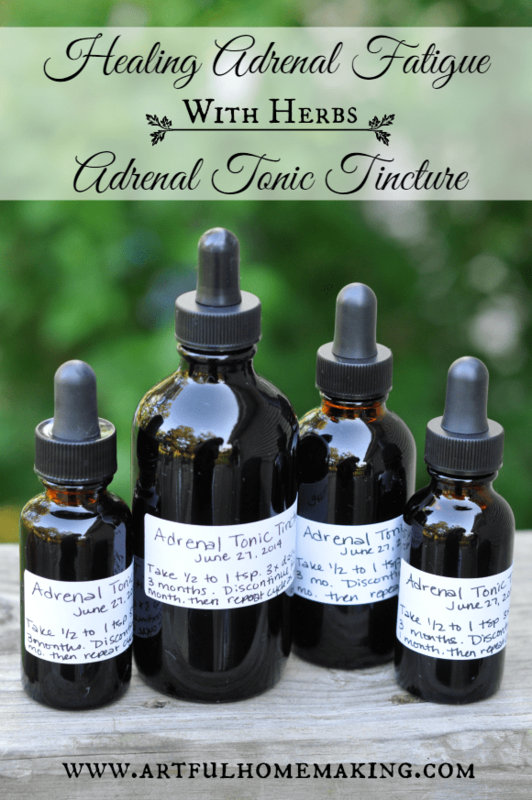 I have severe adrenal fatigue and would love to try this recipe please! 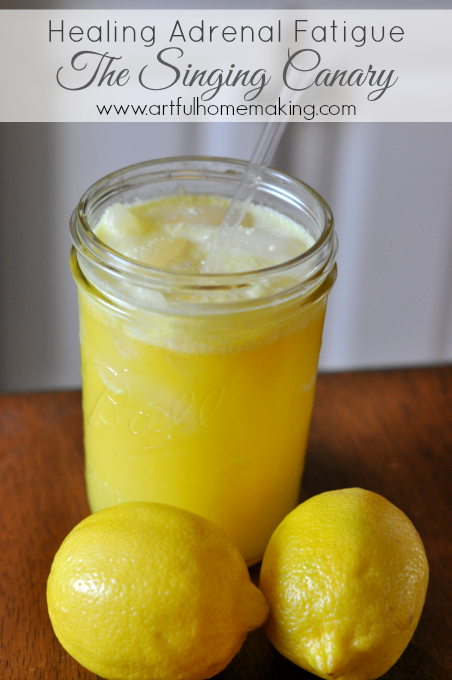 Hi- I would also love to have the adrenal fatigue recipe made with lemons. Thanks so much. Can you plesae email me the recipe? I would like to try. I have a lemon tree ready! I would love to have this recipe for the Singing Canary drink. It has been suggested that I have adrenal fatigue. Just sent it to you, Pat! 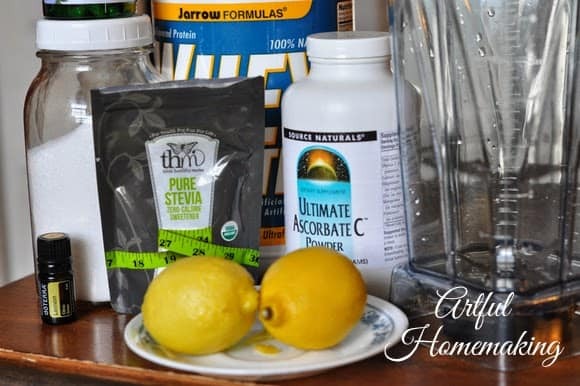 I would love to give this recipe a try, I believe that I have been suffering from adrenal fatigue for quite some time. Unfortunately I am not finding the recipe here just pictures of ingredients?? Could you please email me with the recipe for The Singing Canary Drink? Thank you, much appreciated. Is there anyway you could send it to me too? Just sent it to you, Tara! I have been battling with adrenal fatigue, specially when traveling home (22 hours flight) where it gets to the worse, the diets are not easy to follow unless you have all the time to be in the kitchen 🙁 . This seems like an excellent start point to me, could you please please share it??? I am also looking at your other post about the topic! thanks a lot !!! I think it’s probably different for everyone, as it depends on how depleted your adrenals are. 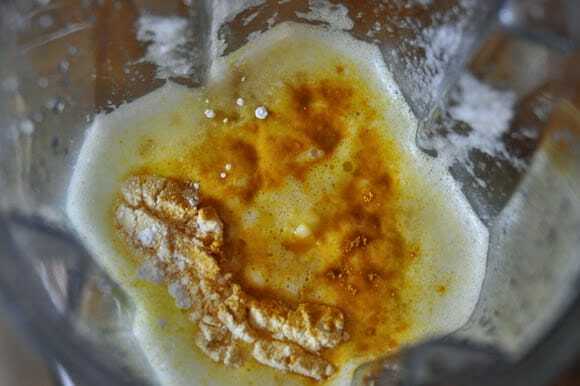 For me, this drink was only one small part of healing my adrenal fatigue. I explain more about how I got my health back in this post. The Singing Canary may be my very favorite thing about THM! I make it in bulk and freeze it into ice cubes. And, because I’m not into things very sweet, I don’t add the sweetener. But it’s an almost-every-day-sipper in my house! What a great idea to freeze it into ice cubes! That would make it a lot more convenient. I may have to try that! 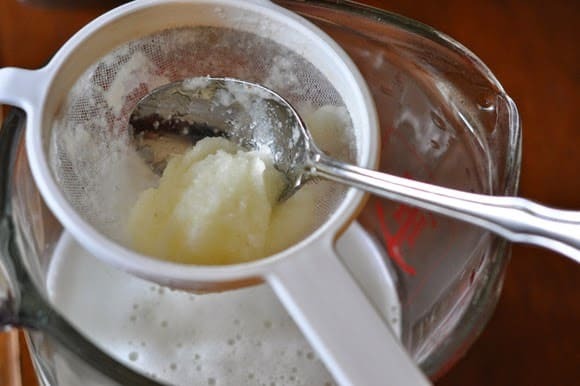 I know this post is almost 5 months old, but could I also trouble you to email me your rewrite/directions for this recipe? I read through the THM link and am somewhat intimidated! Sure, Lindsey, I'd be happy to! I'll just need your email address. You can write to me at [email protected]. This is much easier for me to follow. Thanks for rewriting it. I'll pin it. Great–I'm glad it was helpful! Darn can you send it to me via email? Go ahead and try it! 🙂 I will be honest, it does take awhile to make. One idea someone else had for cutting off a bit of the prep time is to make little baggies with the pre-measured dry ingredients. Another lady made up a bunch in advance in gallon jars. It does seem to separate though, so it needs to be shaken together each time before you pour some out into a glass to drink. Hope that helps!